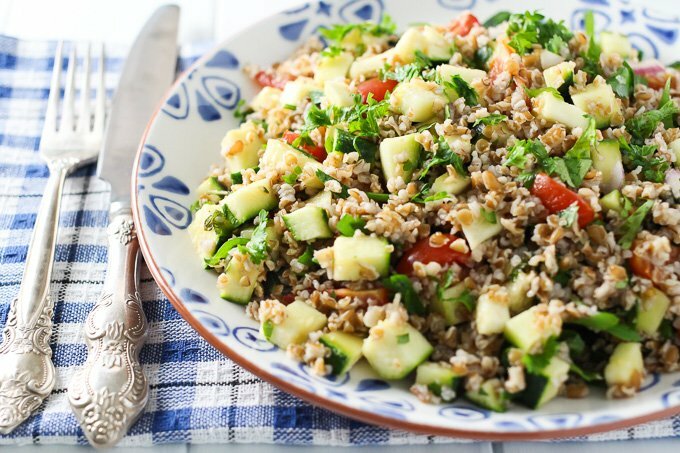 This zucchini tabbouleh salad is very easy to make. 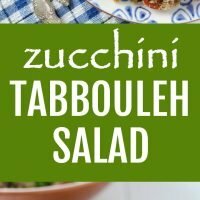 Fresh zucchini add some crunch and a new twist to this traditional Middle Eastern salad. We are used to having zucchini available all year around. 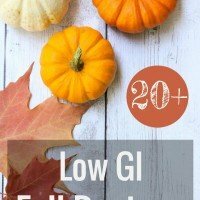 But this time of year, it is especially good because it’s in season and you can get locally grown ones. Or, if you are lucky and have a garden, you can use zucchini you grew yourself. Zucchini is usually served cooked. But did you know that raw zucchini taste wonderful as well? They can pretty much be used the same way you would use cucumber. The advantage of using raw zucchini instead of cucumber is that zucchini doesn’t release so much water. It doesn’t make your salad as watery as cucumber would. 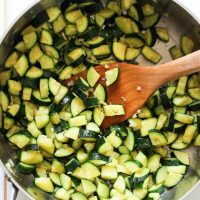 Zucchini salads can be stored in the fridge for up to 48 hours as opposed to cucumber salads that are pretty much too soggy the next day. Zucchini doesn’t have any distinct taste and can be used in homemade juices together with fruit. 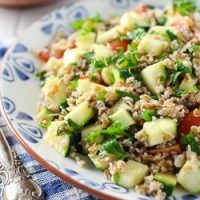 To kick off the official zucchini season, I decided to share with you this Zucchini Tabbouleh recipe. 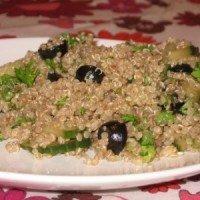 Bulgur doesn’t need to be cooked, just soak it in hot water for 30 minutes and you are ready to put together this tasty salad. 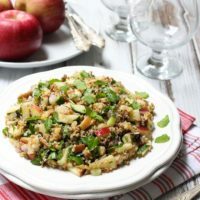 If you like healthy grain-based salads, check out this Tabbouleh with Apples and Walnuts, this Mediterranean Quinoa Salad with Red Beans and Feta, and this Green Quinoa Salad. 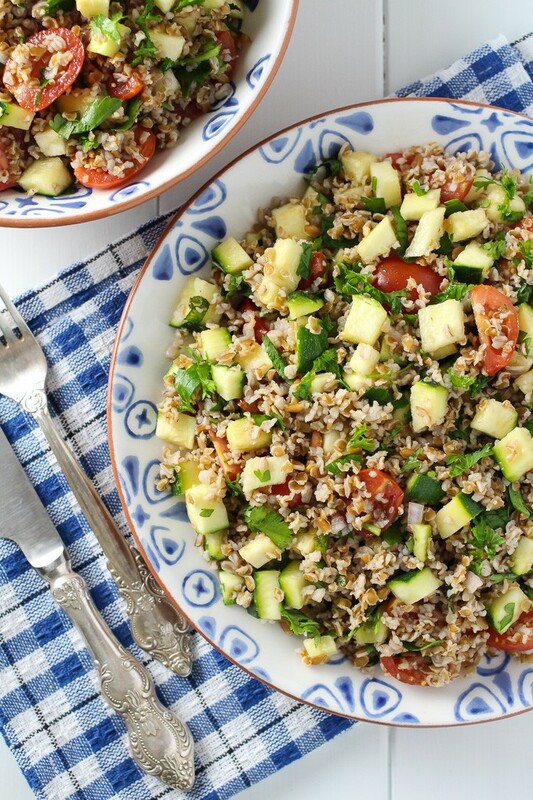 Fresh zucchini adds some crunch and a new twist to this traditional Middle Eastern dish. 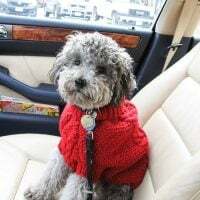 Put the bulgur in a medium bowl and generously cover with boiling water. Cover and leave for 30 minutes. In the meantime, chop the zucchini, tomatoes, onion, parsley, cilantro and mint. Place everything into a large salad bowl and set aside. Drain off any excess water from the bulgur and add it to the veggies. Season with salt and add the balsamic vinegar and olive oil. Toss to combine. Chill for 30 minutes before serving. 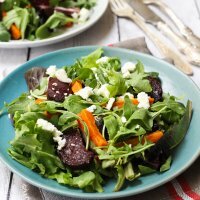 This salad will keep well in the fridge for up to 24 hours. Hi Maria! 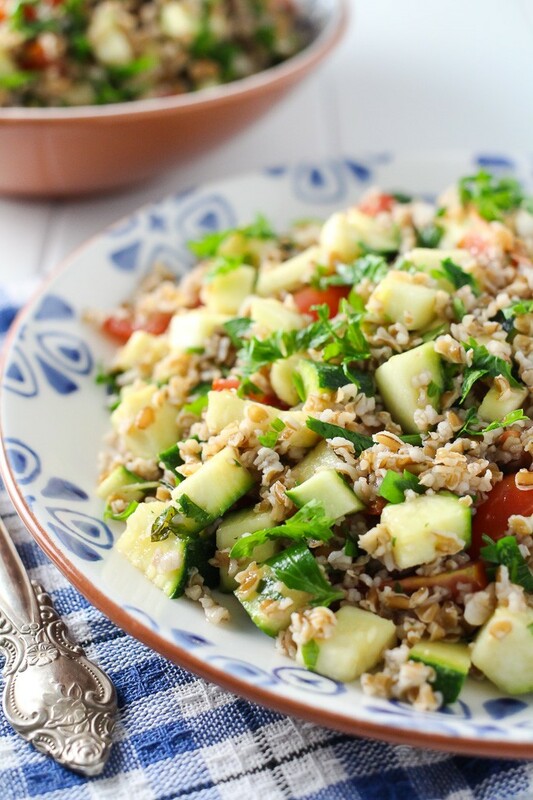 I love the idea of using zucchini in tabbouleh! 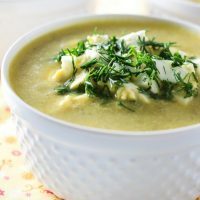 I’m seeing zucchini all over the place and I can’t wait to try this- Pinned 🙂 Happy Summer!